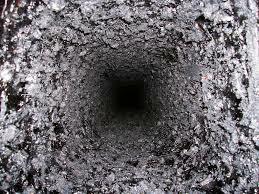 Looking for an excellent Chimney Sweep in Dallas? Look no further! When you think of a chimney sweep, you probably think about Burt and Mary Poppins dancing across rooftops, and that’s probably where your thoughts on the subjects end. But did you know that regular sweeping services are essential for fireplace safety? Chimneys serve an important function in making your fireplace work effectively. They create a draught that enables the fire to keep burning. However, over time the byproduct of produced smoke and soot is a buildup of creosote which, when left unattended, can become a serious safety hazard. Creosote is the residue left behind by soot and tarry smoke. Over the course of just one season this residue can become a layer several inches thick. This becomes a problem because it restricts the airflow to the fire, preventing smoke from escaping, and also because creosote is highly flammable. Sweeping is very important because unattended chimneys can produce hazardous gasses as well as the serious fire hazard creosote can present. Prevent these dangers with regular cleaning and inspections to identify and repair potentially dangerous damage. When having safety inspections, it is of the utmost importance that you find a professional trained to properly diagnose and repair your chimneys safety hazards. There is nothing more important than experience when hiring someone to remove the highly flammable creosote and tend to smoke chamber and other repairs. Many companies offer great deals, but, unfortunately, you often find that you pay for what you get when they send out under experienced and poorly trained technicians. Don’t trust your family’s safety to the neglectful services of unqualified personnel; instead turn to the company ranked #1 for gas fireplace inspection and repair. Sometimes risk is a good thing, but when it comes to fireplace safety there is no alternative to properly trained care! 1st Choice Chimney should be your first choice for a chimney sweep in Dallas! 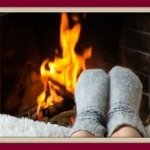 Here in Dallas, no one knows the importance of clean chimneys than 1st Choice Chimney. Whether you need an inspection, a smoke chamber cleaning, or tuckpointing and more complicated repairs, we can help you ensure that your fireplace keeps burning safely!